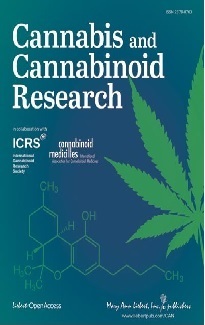 Cannabis use, possession, cultivation, sale and administration are prohibited under the Misuse of Drugs Act 1975 and associated regulations. Cannabis is listed in class C1, which carries a penalty for use or possession of a fine of up to $500 and/or 3 months imprisonment, or up to 2 years jail for cultivation, and up to 7 years jail for sale or supply. Class C1 substances can only be used or supplied with the special permission of the Minister of Health. No cannabis-based medicines are currently approved for general marketing in New Zealand. 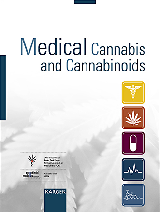 A medical practitioner or researcher can apply under s14 of the Misuse of Drugs Act for a licence to run an experimental trial of a cannabis medicine, including plants or extracts. Alternatively, a medical practitioner could apply under s29 of the Medicines Act 1981 to prescribe an "unapproved medicine" such as Sativex, Marinol, Bedrocan, or any other cannabis medicine that is already approved in any other country. The doctor should do this together with a relevant specialist. Once they have been given approval, the doctor would arrange to import, store and prescribe the medicine either to a named patient or to a category of patients. Courts in New Zealand have not upheld medical necessity arguments. While several rulings have expressed sympathy with prosecuted patients, they have upheld the law and convicted the defendants. Several high profile patients including Danuiel Clarke and Neville Yates have been sentenced to several months imprisonment. Although courts have refused to find patients "not guilty", several have had their charges dropped, or been given what is called here "diversion" (completing some community work in lieu of prosecution). It seems the courts do not want, or are unable, to set a precedent that could help other patients. New Zealand has the world's highest cannabis arrest rate, with more than 10,000 people prosecuted every year in a country with a population of only 4 million. Cannabis arrests increased six per cent from 2007-2008, while arrests for drugs such as methamphetamine fell by 11 per cent. The vast majority of cannabis arrests are for small personal amounts. Such people usually receive a fine of about $150-$200, and a criminal conviction. The law presumes that people should not go to jail for class C offences, unless there are exceptional circumstances. Courts have interpreted this to mean repeat offending on a larger scale. It is not unusual for growers or dealers to be sentenced to 3 or 4 years jail. In October 2008 the New Zealand Government approved for the first time the use of Sativex by three patients. At least one is for back pain, an "off-label" use. Sativex has been approved under s29 (unapproved medicines) of the Medicines Act 1981. The Government's medicine regulatory body MedSafe has made available an application form on their website for doctors to complete. GW Pharmaceuticals has partnered with Health Support Ltd for the supply of Sativex to local pharmacies, so that doctors do not need to arrange the importation themselves. GWP have also applied to MedSafe for consideration under s23 of the Medicines Act, for general approval. If successful, this would mean Sativex could be prescribed by doctors, without them having to apply to the Minister of Health. - that it continue to make pharmaceutically-based THC derivative medicines available to treat serious medical conditions when traditional methods have failed.